Content discovery and marketing platform Outbrain has acquired Slovenian adtech startup Zemanta. Headquartered in New York City, Zemanta’s native demand side platform will continue to operate as a standalone product post acquisition. The acquisition will enable the adtech startup to grow its business to serve existing brands and agencies, as well as expand worldwide, according to the press statement. Zemanta provides programmatic native advertising solutions to clients including Microsoft, Ford, Kraft, Intel, Starcom, OMD, Carat and iProspect. It is also able to bid based on predicted user engagement. Through its platform, clients are able to access “the largest native supply opportunities” globally, across multiple programmatic networks. Those networks also include large marketplaces such as Yahoo, Facebook and Outbrain. Marketing has reached out to Outbrain for further comment. “Digital marketing has grown on the strength of two important trends – efficiency gains from programmatic buying, and the effectiveness that comes with native advertising. Marketers no longer have to sacrifice one in favor of the other. 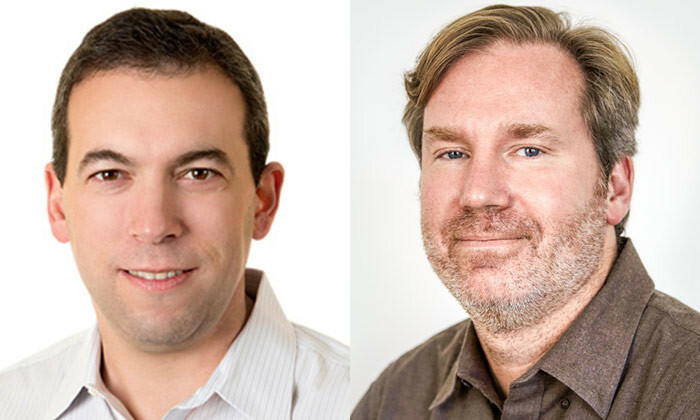 By pairing Outbrain’s global network with Zemanta’s platform, marketers will be able to deliver scale, brand safety, and user engagement in one offering,” Yaron Galai (pictured left), Outbrain CEO, said. “Now under the umbrella of Outbrain, we will continue to be able to grow the Zemanta One Native DSP as we expand both our network of over 30 programmatic native exchange partners globally, as well as, the industry leading features that have made our DSP the best in class platform for programmatic native buyers,” Todd Sawicki (pictured right), CEO of Zemanta, said. “Native is booming across APAC and the Zemanta acquisition puts Outbrain in a unique position to drive success for brands and agencies in this space. The ability to run programmatic native campaigns and find the right audience across any native platform means Outbrain is now the platform of choice for brands and agencies seeking to run programmatic native campaigns efficiency through one platform and reach millions of people on any device,” managing director of Outbrain Asia Pacific, Ayal Steiner, said. Some advertisers in Hong Kong are sending unhealthy and unrealistic images of women's health, says Rita Ching from The Women's Fou..
Kantar Worldpanel revealed that despite the influx of popular foreign brands, local brands continue to thrive in the Philippine F..